The typical workplace has its ups and downs in terms of employee negativity. 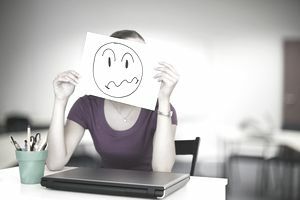 Many workplaces are trying to be employee-oriented, but even the most employee-oriented workplace can shudder under the weight of negative thinking. Negative thinking can spread like wildfire across a typically positive workplace. It's insidious and difficult to understand and control. But, employers have the opportunity to keep employee negativity from gaining a foothold. When employers understand the causes and put in place measures to prevent employee negativity, negativity fails to gain that foothold in the work environment. Preventing negativity from getting out of hand and permeating your workplace should be a top priority for all employers. So, keep your ear to the ground at all times—make sure that you stay up-to-date on employee gossip and know what your employees want and need. You need to nip employee negativity at its source before it spreads and festers. There are ways an employer can prevent negativity from occurring at work or combat workplace negativity that already exists in the workplace. Through all of this focus on employee negativity, the persistent question received from managers is: What really causes employee negativity? A study answered the question about what causes employee negativity. The study, conducted by Towers Perrin and researchers Gang & Gang, surveyed a randomly selected group of 1,100 employees and 300 senior Human Resources executives working for mid-sized and large-sized companies in the United States and Canada. Insufficient recognition for the level of contribution and effort provided and concerns that pay isn't commensurate with performance. You will find that intensifying any of these factors causes employee negativity. Knowing about these causes of employee negativity enables you to take action to prevent or eliminate employee negativity. Based on this research, here are several examples of actions that you can take to minimize employee negativity in your workplace. If you lose an employee and divide the work across several remaining employees, you foster employee negativity unless employees have the end in sight – a new employee with an expected arrival date. The longer they work in this kind of a scenario, whether because you can't find a qualified candidate, the budget is not approved for a replacement employee, or the company is restructuring and all positions are on hold, the more negative they will become. You can ask your employees to work harder for coverage, but only if they see a deadline. Companies that experience a business downturn will experience employee negativity. Employees are concerned about both management and their future with the company. Insecure employees are negative and looking for the worst to happen. Following a period of financial woes, management has to work hard to regain employee trust. During times of fear and concern about their company's viability, you will find that many employees are out job searching. They don't want to be blindsided if you downsize or close. An employee who applies for a promotional opportunity and does not get the job can be extremely negative, especially if promotional opportunities are perceived as limited. You must take great care to make sure your promotion system is fair and that employees know exactly what they need to do to get ready for the next opportunity. Employees love recognition for their work. They also like to see salary increases for contributing employees. One of the most significant causes of employee negativity occurs when employees believe poor contributors received raises—especially when their own raise was below their expectations. This is a snapshot of causes of employee negativity. If you can eliminate these five, you have gone a long way in the direction of building a positive, supportive work environment. You’ve minimized the potential for employee negativity. And, you won't find yourself playing the role of a negative employee since you now know what to look for in a negative employee.